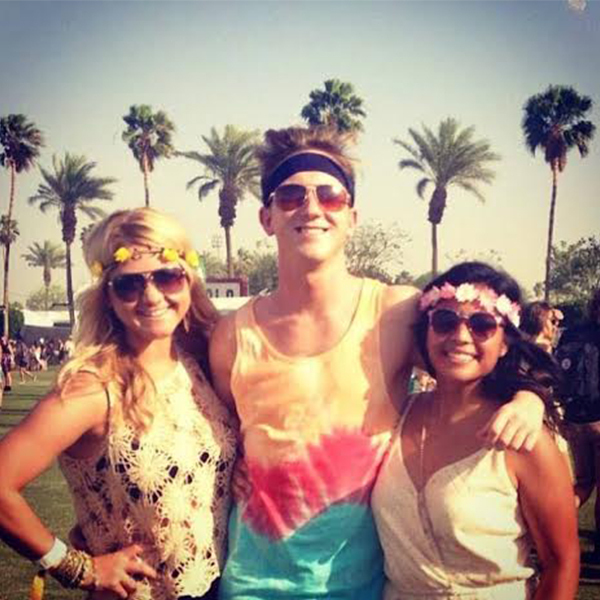 Wondering how exactly you’re gong to conquer Coachella? Fear not – there’s an app for that! Taylor and Sydney both stress that you need to be strategic when deciding which shows you’re going to catch, which is where the handy app comes into play. “Using this app makes it really easy to select which shows you're planning to see, and it gives you the time and stage so you have a schedule on hand,” Sydney says. “I like to make sure I check out almost every stage throughout the three days, but you definitely have to be strategic with so many stages and artists.” She also recommends getting to the stages a little early before a set to locate a good spot. Let’s be honest — Coachella style may be one of the best (and most Instagram-worthy) aspects of the festival — but don’t forget about comfort when choosing your outfits and dressing for the day. Sydney, on the other hand, is going for options galore. “I have a great cross-body leather bag that fits a sweater, sunglasses, sunscreen, bandana (for when it's windy and dusty) and more,” she says. “I like to wear a hat because, first of all, it makes me feel like a desert hippie and, second of all, because it protects me from the sun a little bit. I'll usually wear a Flower Children Only halo to accessorize.” And most importantly, Sydney and Taylor plan on rocking sneakers to keep them dancing all day and night. The housing options near the festival are endless — from nearby houses to fancy hotels in Palm Springs, but Sydney recommends sticking closer to Coachella. “I like to stay in a villa as close to the festival as possible. It's fun to have your own space but then have a big pool where people hang out and party during the day,” she says, adding that the festival is an overall more enjoyable experience if you stick within 10 minutes or so of the Indio location. The weather is hot, hot, hot, so drinking plenty of water throughout the day is a must. “Stay hydrated. Know your limits. Get some sleep. It's a long three days,” says Taylor. He also recommends bringing your own water bottle to the festival. Stations are scattered throughout the grounds that allow you to fill up. The need for even more H20 isn’t the only effect of the summer-like sun — the days can feel extra scorching. Wear plenty of sunblock during the day and keep cool as best you can, or try to hit up the festival later in the day. “Unless there's someone you're dying to see, it's best to go when the sun is going to set soon so you'll be cooler and happier,” Sydney advises. Spending several days surrounded by music, culture, incredibly scenery and likeminded individuals can be rejuvenating for anyone, so embrace the possibilities! 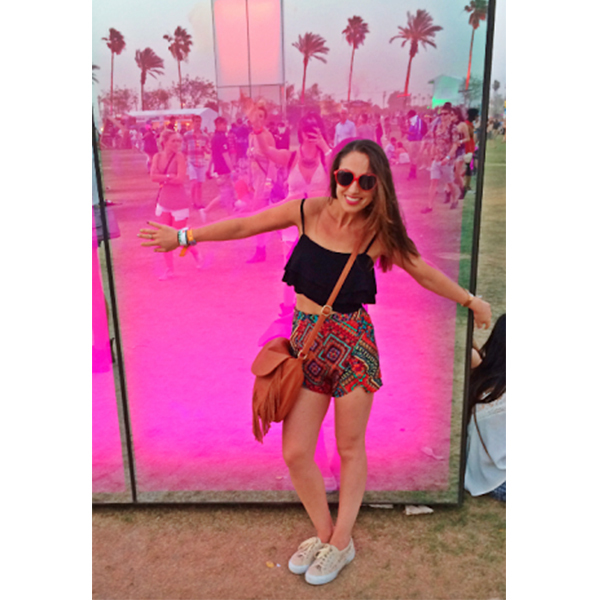 “My favorite part of Coachella is the sense of community it creates. Everyone is there to partake in this amazing festival and I feel awesome being a part of something bigger than myself,” says Taylor. Sydney adds that the magical atmosphere and variety of artists leave her even more inspired when the lights dim and she heads back to the studio. While you’re rocking out in the desert, don’t forget to forge friendships, embrace new sounds and find motivation wherever you can. Which Music Festival Matches Your Soul?